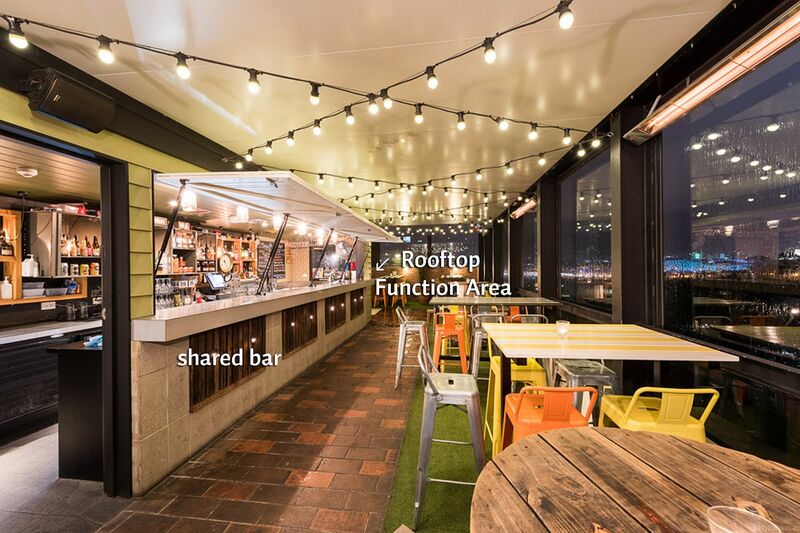 The Rooftop Function Area is situated on top of the Mountain View Hotel, but it feels as though it's on top of the world. With a magnificent view of the city sky line, this function area is truly a place in paradise. 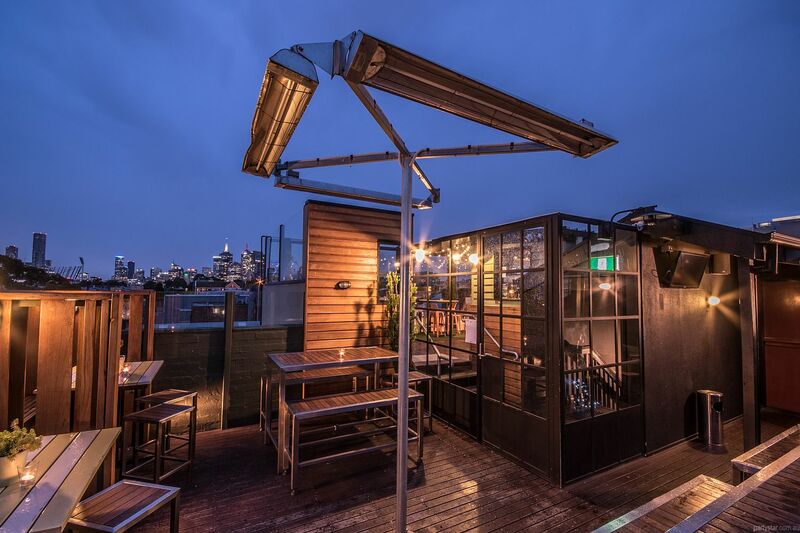 Equipped with its own sound system and outdoor heating this section of the rooftop is sure to impress. It is ideal for partying in the moonlit air as the city and mountain views hover on the horizon. The bar is just up a few steps, and our house made finger food will impress. You could even have a BBQ cooked fresh and served to your guests on the rooftop. Smoking area: Smoking area on rooftop, smoking only allowed after food service is finished and cleared. Plug your iPod into our Rooftop Function Area surround sound system. 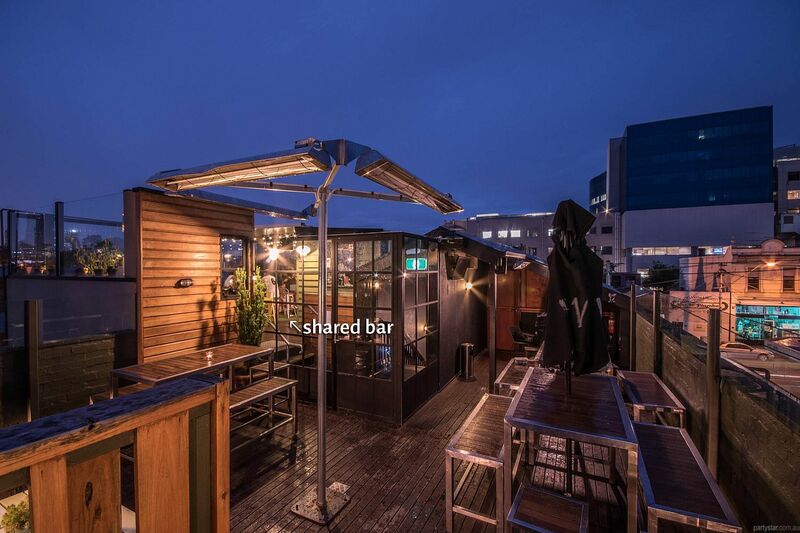 From 11pm-1am guests can move to the shared rooftop area, with loungey, funky, housey background tunes. May the alfresco party continue! This area must close at 11pm due to noise and licensing restrictions. 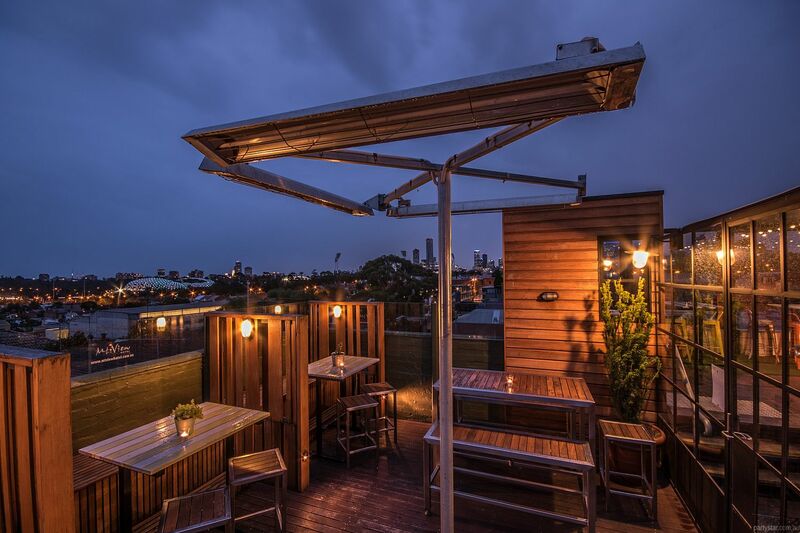 From 11pm-1am guests can move to the shared rooftop area and continue to enjoy the alfresco vibe with members of the public. 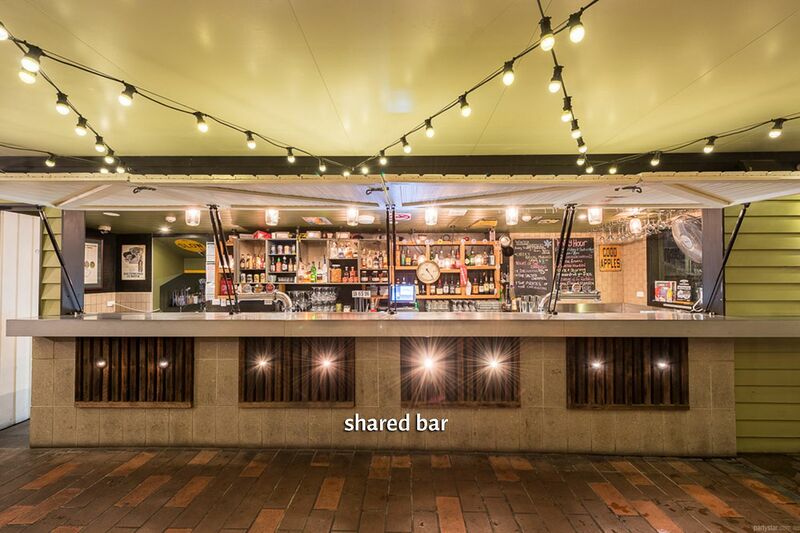 Alternatively guests can move downstairs to the main bar area. Monday to Thursday functions: $2000 minimum spend, 11pm close time.